More New Necklaces on eBay! 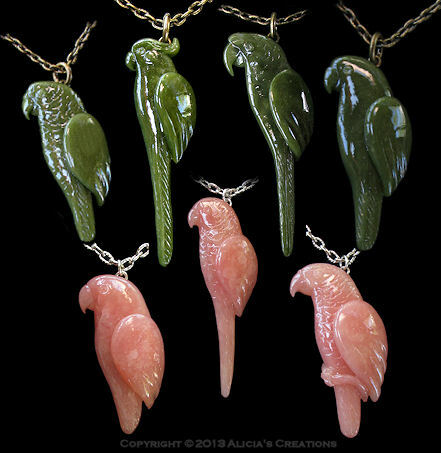 There is a new "Serendipity" pendant on eBay (shown on the far right), in shades of green with streaks of yellow and orange. 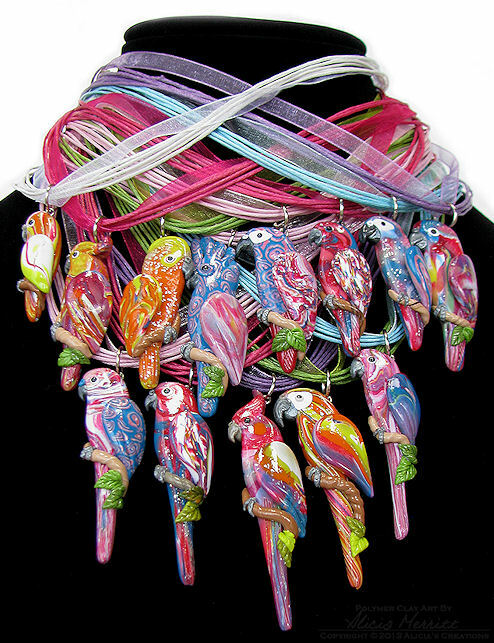 This one reminds me of a Gold Capped Conure, what do you think? Back in July, I listed a "Kawaii Style" Green Budgie, and had so many requests for another one! So, I listened, and am happy to be offering another one this month! 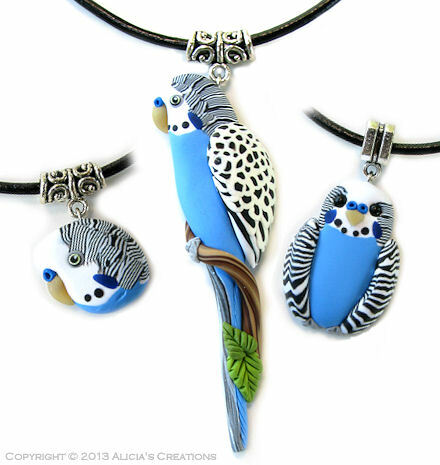 There is also a new Flights of Fancy necklace available. This one features a small pendant, in purple and silver, with the word "LOVE". All auctions run for the next 5 days on eBay.